Advantages: Accurate; high level of detail; outstanding surface features including crisply recessed panels and subtle rivet lines where appropriate; includes colour and brass photo-etched parts; separate control surfaces; many useful options; high quality decals; includes die-cut canopy masks. Disadvantages: Somewhat overheight exhaust stacks. 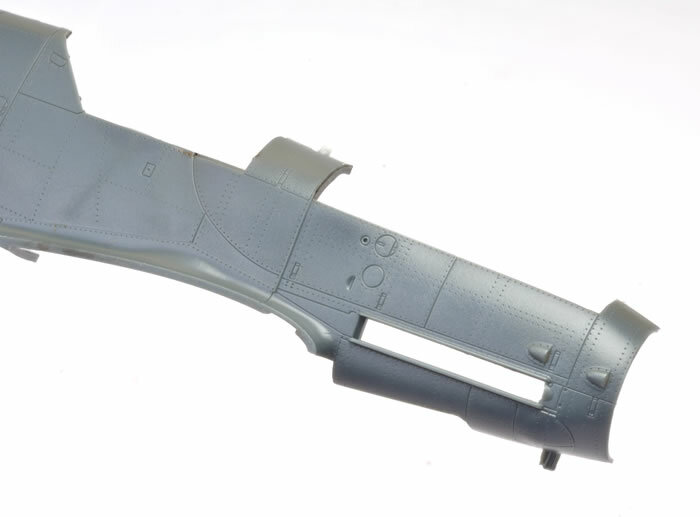 Conclusion: Eduard's 1/48 scale Messerchmitt Bf 109 G-10 is a very welcome addition to their re-tooled Gustav family. 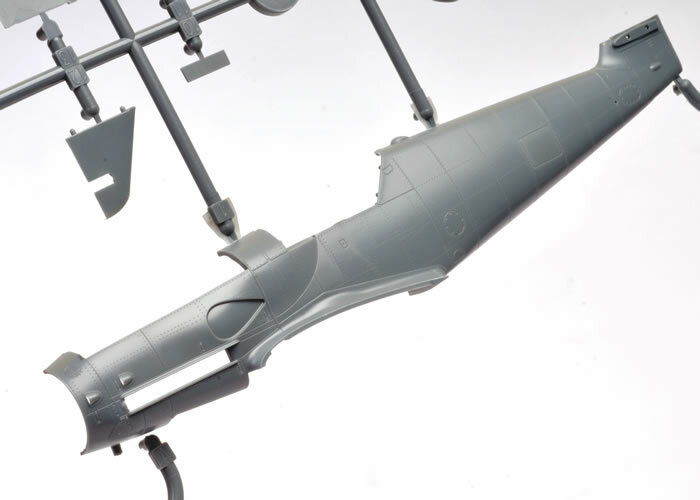 With the other 1/48 scale options being the Revell kit from the 1970s, the 20-year-old Hasegawa kit and the frankly weird looking Fujimi Gustav, Eduard's Bf 109 G-10 shoots straight to the top of the list! The Messerschmitt Bf 109 G-10 was an attempt to improve the performance and extend the service life of this crucial German fighter. Increasing weight and the need for additional ordnance was taxing the capabilities of the standard Daimler Benz DB 605 A engine in the Messerschmitt Bf 109 G-6. The DB 605 D would supply up to 1,800HP to the Bf 109 G-10 (2,000HP using emergency power), compared to 1,475HP available to the Bf 109 G-6 from the DB 605 A.
Externally, the new powerplant featured a larger supercharger, modified engine mounts, a deep oil cooler and a larger crankcase. The forward fuselage was redesigned to accommodate these changes. Large, streamlined bulges on both sides of the engine cowl replaced the familiar cowl gun breech blisters of the Bf 109 G-5 and G-6. A fairing was fixed to each fuselage side below the cockpit to improve airflow. These combined to give the nose of the new variant a more streamlined appearance. 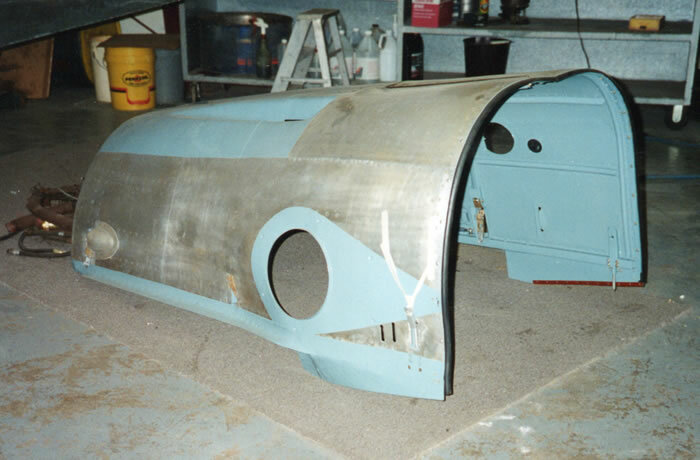 Two circular blisters were also added to the lower nose to permit clearance for the larger crankcase and oil lines. A deeper housing for the new oil cooler was another obvious change. 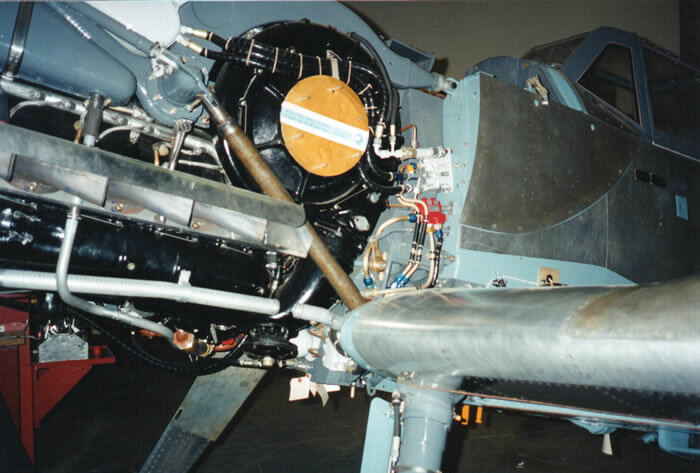 Detail photographs of these features may be seen in “Late-War Bf 109 G/K in Detail - Cowl Bulges for DB 605AS series & D Powered Bf 109s”, Part One and Part Two, in HyperScale’s Reference Library. I have also reproduced some of Derek Brown's photos here. 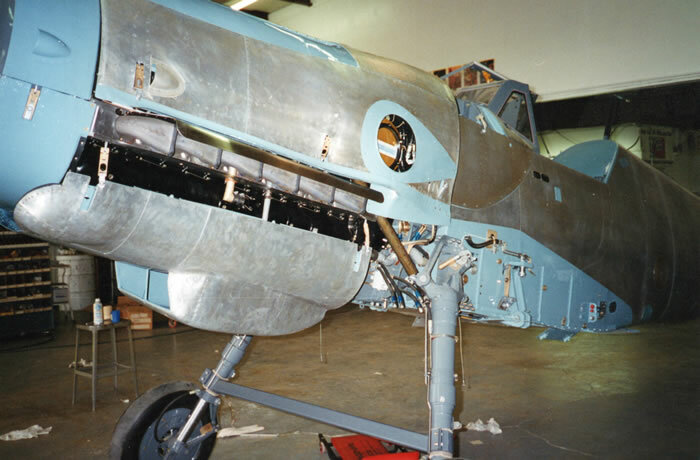 These show one of two Bf 109 G-10s under restoration at the Evergreen Aviation Museum, McMinnville, Oregon during the late 1990s. They offer a rare, almost unique opportunity to examine the complex and subtle curves of the G-10 engine cowling, assisted by light reflecting on the bare metal. Raw materials were desperately short by the time production of the Bf 109 G-10 commenced in October 1944. The G-10 was therefore produced using components from earlier airframes. This led to many variations in production, including alternate configurations for the tail wheel, aerial, cockpit air intakes, main wheels, wing bulges and tail surfaces. Eduard continues to work through the Messerschmitt Bf 109 G family, their latest addition being the high-performance Bf 109 G-10. In common with other sub-types in the Bf 109 family, the G-10 was fitted with many different components resulting in a number of distinct, and some not-so-distinct, variants. Eduard has chosen to depict the Bf 109 G-10 produced at the Messerschmitt Regensburg factory. 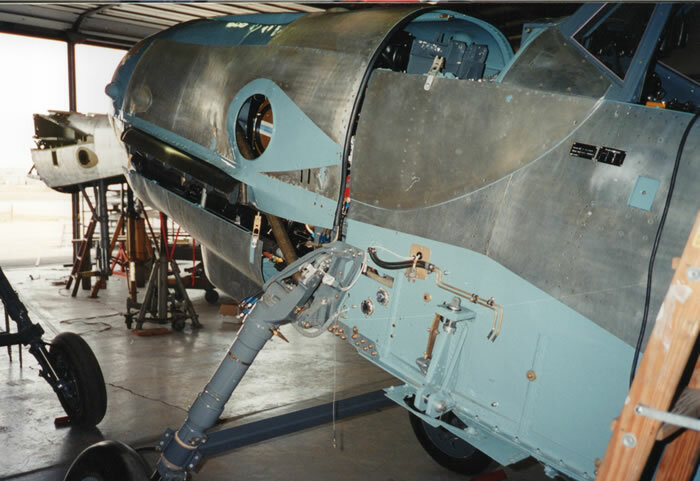 These typically were fitted with narrow main wheels, the small upper wing bulges and the new streamlined cowl to accomodate the larger supercharger and modified engine mounts. The tail wheel may have been the long or short variety. 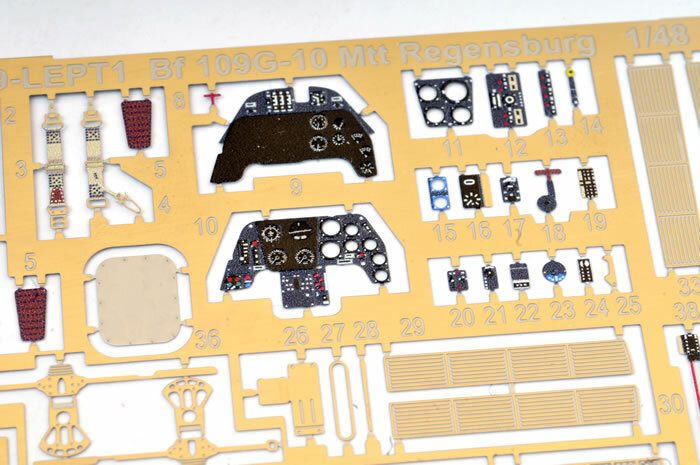 This kit may also be built as a Bf 109 G-14/AS with the DB 605ASM engine and MW50 boost. 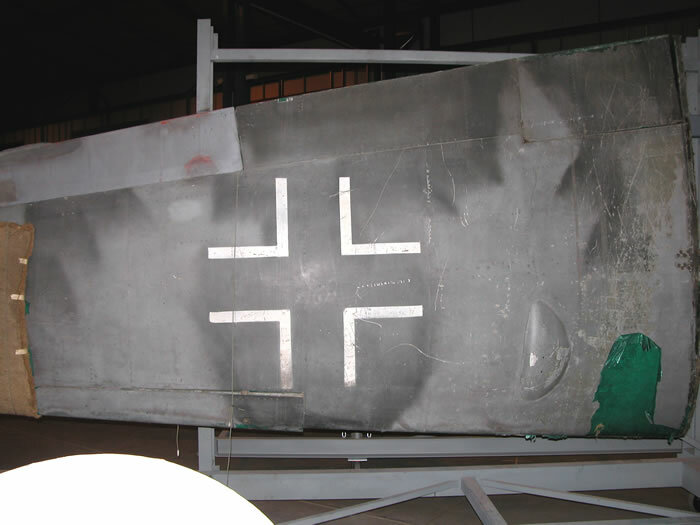 The external airframe of this version is very similar to the Bf 109 G-10. In fact, for a typical G-14/AS, all you need to do is fill the circular filler hatch on the port side of the nose and scribe a new filler hatch below. Check your references though as the cowling characteristics (oil cooler style, lower front cheek bulges etc.) did vary depending on the production batch. 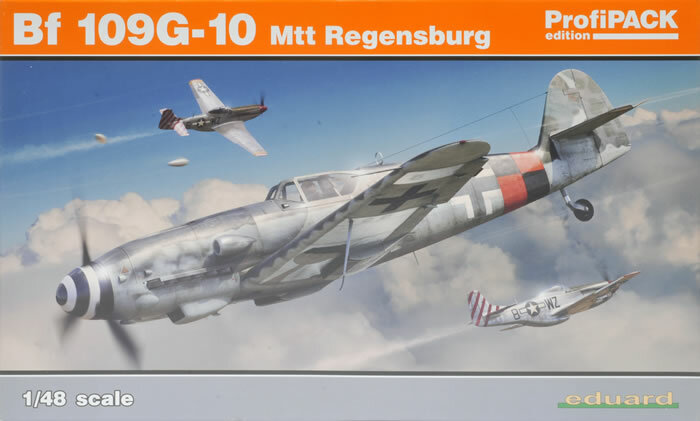 Eduard's Bf 109 G-10 Mtt Regensburg ProfiPACK comprises 188 parts in grey plastic, 10 parts in clear, a coloured photo-etch fret, a brass photo-etched fret, self-adhesive canopy masks and markings for five aircraft. More than 70 of the parts are marked “not for use” and there are a few optional parts too, so the actual number of parts used is quite modest. 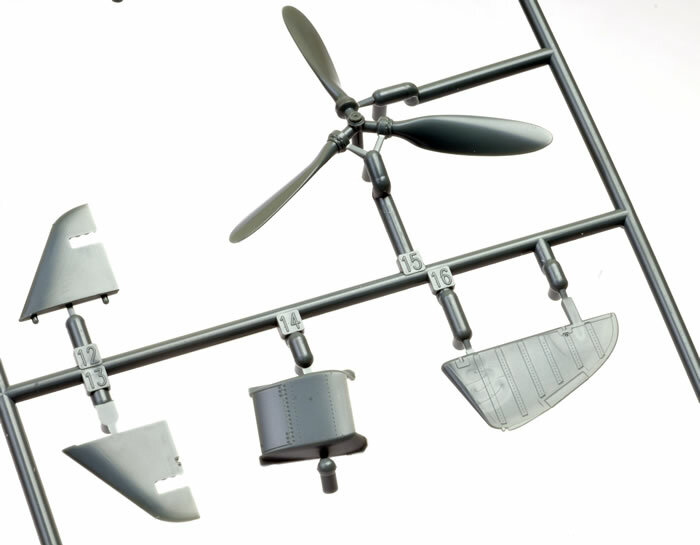 The new parts include the fuselage halves, gun cowl with pressed troughs, the large supercharger intake, deep oil cooler housing, fin, rudder, the VDM9 propeller assembly and cockpit parts. 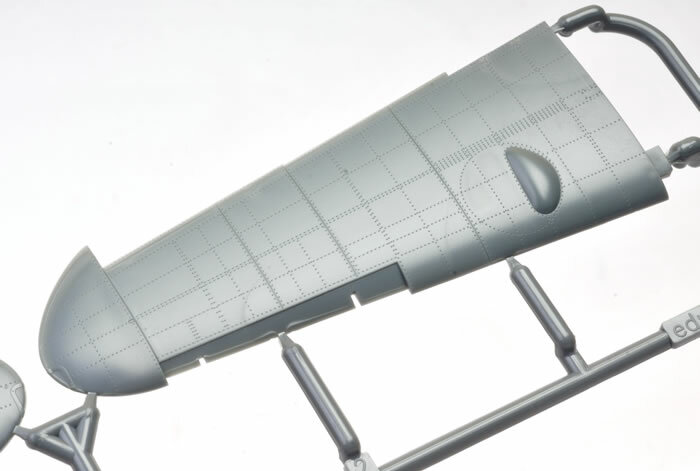 The fuselage is moulded with a separate fin, making it easy to cross-kit the tall and short vertical stabilisers. The compound bulges of the new streamlined engine cowling of the G-10 are subtle, especially the port side that accomodates the larger supercharger and modified engine mounts. 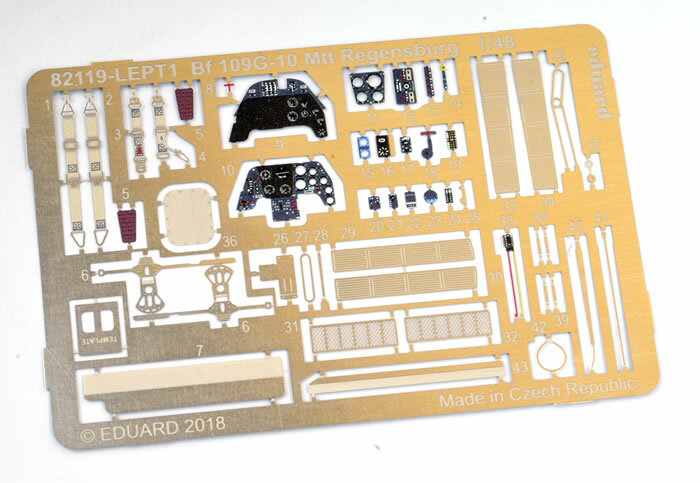 Comparing the kit parts to Bob Rinder's photos, I think Eduard has done a pretty good job here. They have depicted the kinked bottom edge of the cowling and the compound bulge on the port side. 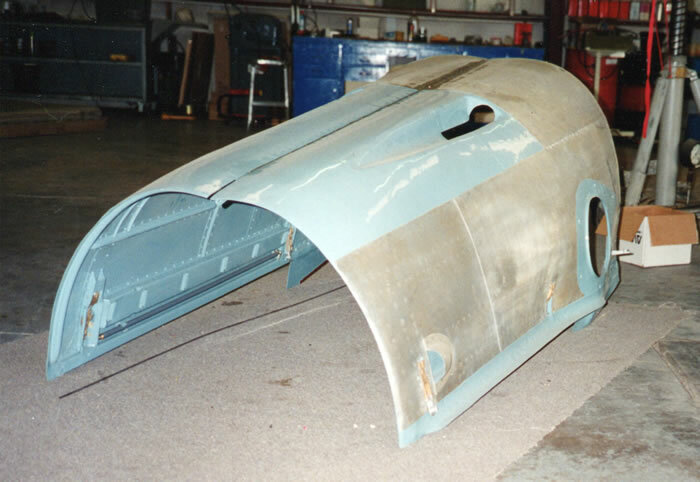 The fixed fairings are also moulded as part of the fuselage halves. 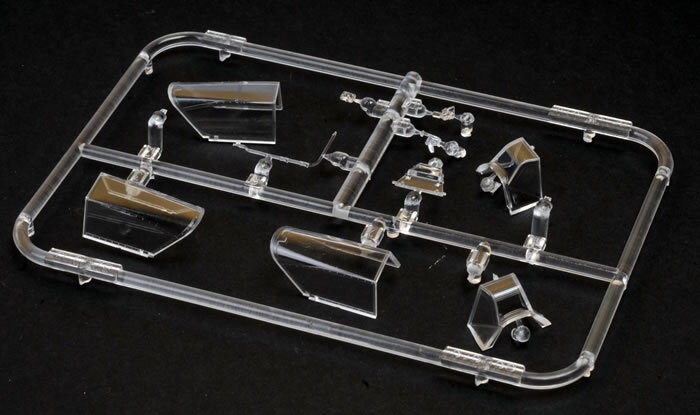 The armoured glass “Galland Panzer” and several new optional windscreens and canopies are provided on the clear sprue. Only one of each is applicable for this boxing. The inclusion of the clear fuel line is a nice touch. The inspection tube may be masked so that it remains clear after painting. The photo-etched parts are new too. The colour photo-etched fret boasts a new feature that I have not noticed before. Each instrument dial is topped by a glossy clear dome that looks like a lens. It is hard to pick this up with a camera under studio lights, but it looks convincing when viewed close-up and personal. 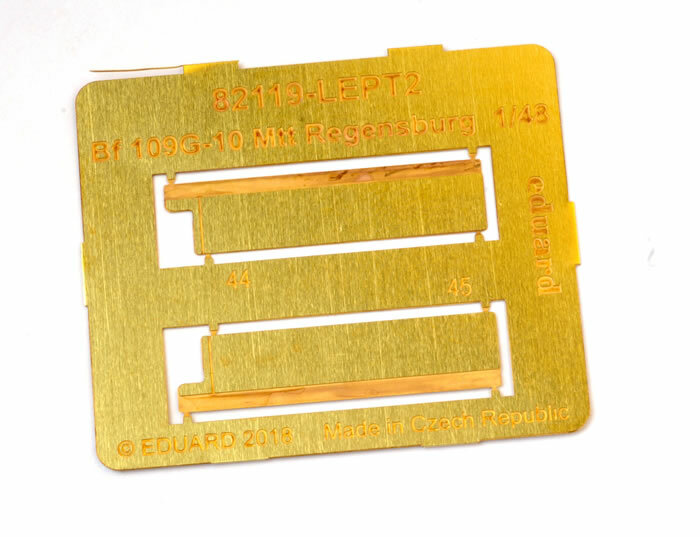 A small brass photo-etched fret is also included. This contains the exhaust flame dampers for the night fighter option. 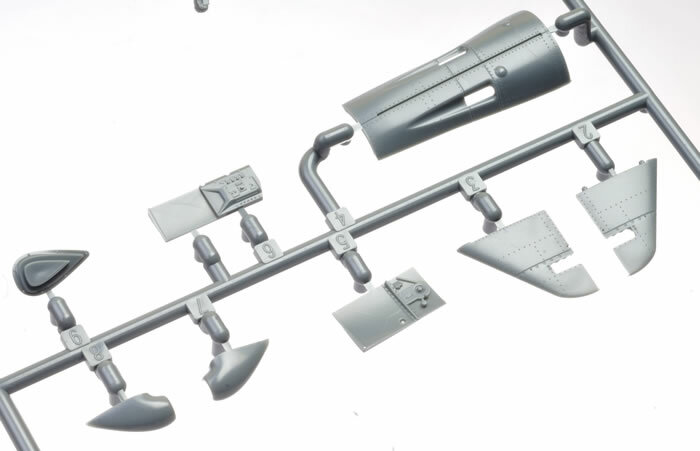 Apart from these replacements and additions, the other sprues are the same as the re-tooled Bf 109 G-6 kit. This is a good thing! In 2013, Eduard’s Spitfire family set a new benchmark for 1/48 scale surface detail, and this Bf 109 G-10 is equally impressive in this regard. Panel lines are very crisp, fine and even. Lines of rivets are present, but they are incredibly subtle. The rivet lines seem to accurately follow the pattern applied to the full-sized aircraft too. I was impressed to see that the small scoops on the nose are actually hollowed out - nice! Other raised surface features include the sealing strip between the mid-fuselage and the rear of the engine cowling. Fabric matches this high standard, with strip and stitching texture beautifully presented on the control surfaces. If you look closely enough, you will even see the zig-zag pinking edges on the fabric strips. The wheel wells are nicely detailed and are correctly concave thanks to the bulges moulded to the top of the wings. Eduard depicts the wheel well sidewalls with the zippered canvas covers at the rear. The fabric texture looks good, and the zipper is represented by a raised line. The exhausts are supplied in one piece for each side. The centreline weld beads are present, and each of the stacks are hollowed out at the end. 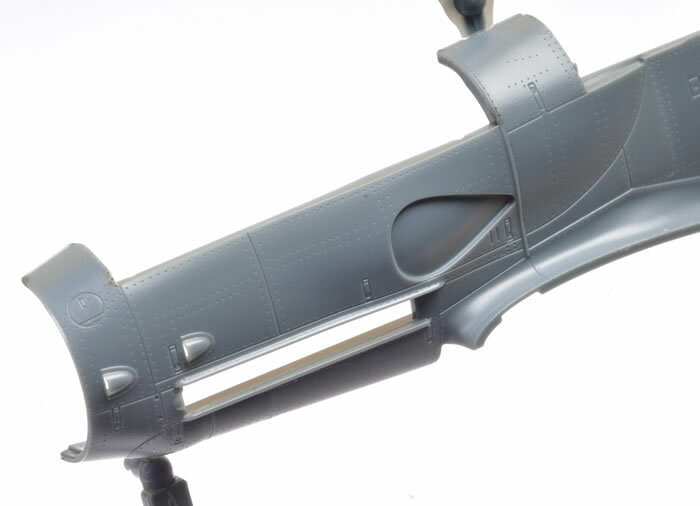 In common with the previous Eduard Bf 109 F/G family, the exhausts are slightly too tall. This is only really apparent on the starboard side as the port exhausts are partially covered by an extended fairing. Propeller blades look to be a good shape, with nice pitch collar and hub detail. The kit is broken down conventionally. 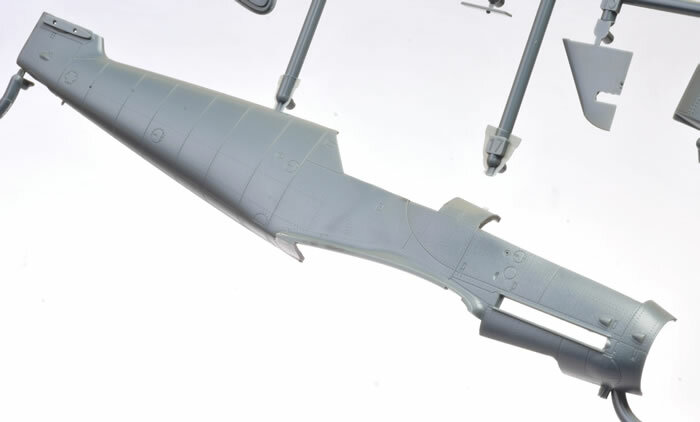 The fuselage is full-length with the only inserts being the gun cowl deck and the fin, allowing either the standard or the tall fin to be fitted. 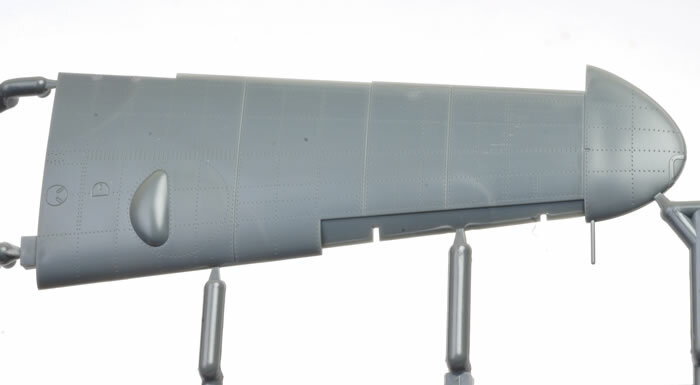 The lower cowl is moulded as part of the fuselage sides. 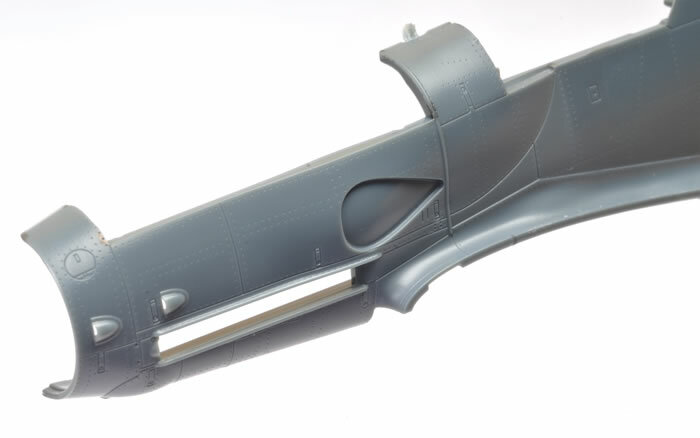 The pitot tube is mouldd to the port side wing tip. I'll be cutting mine off to re-attach or replace later. 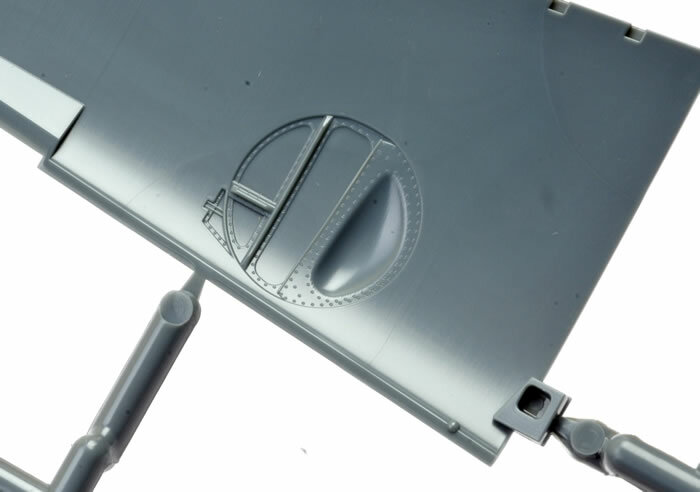 The wings have been designed with the wheel bulges moulded in place, and correctly angled away from the chord (see reference photo below). 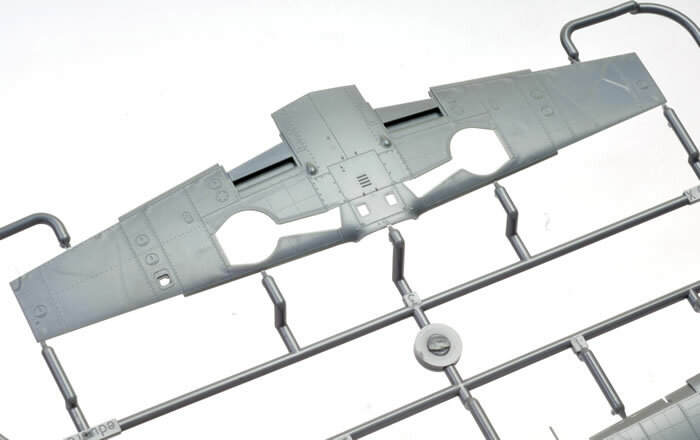 The wing tips are moulded as part of the upper wing halves with solid navigation lights and the pitot tube moulded in place. 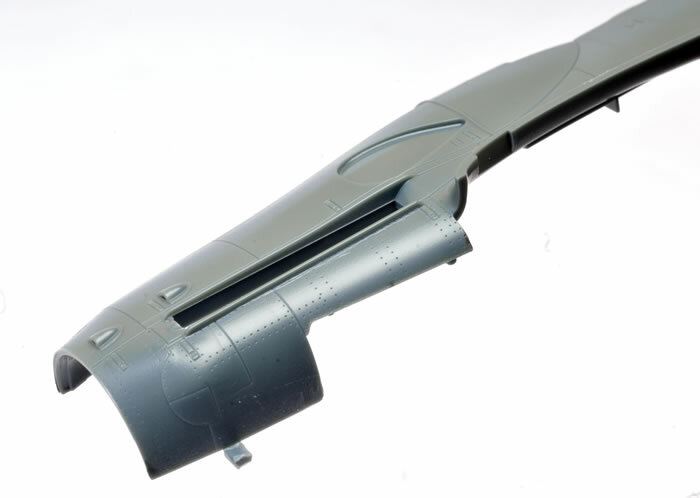 Lower fuselage ejector chutes are moulded open on the bottom wing. All control surfaces are separate, including leading edge slats, ailerons, flaps, elevators and rudder. The ramps at the leading edges of the radiator housings and the cooling flap at the back of the oil cooler are moulded shut. All the radiator faces are supplied as photo-etched parts. Many options are offered on the sprues. 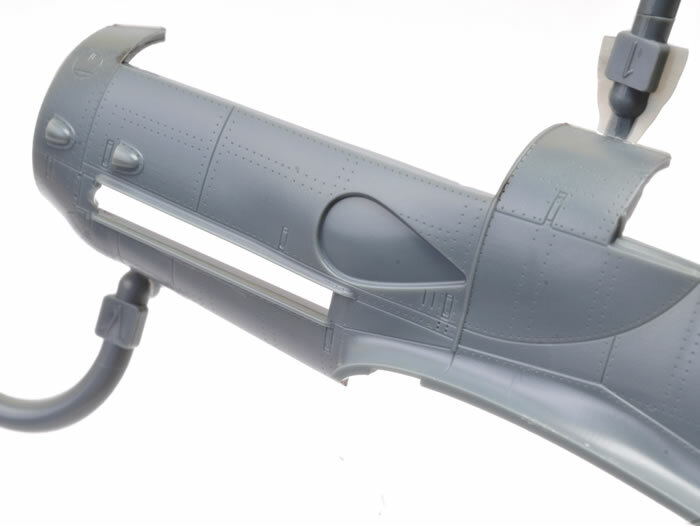 Some of these relate to earlier and later Bf 109 G or F versions and do not apply here, but others – even though they are marked “not for use” – might come in handy for the enterprising modeller. Other options include an ETC rack and two styles of 300 litre drop tank and various antennae. The alternative propeller blades, oil cooler housing and wheels are for earlier versions. 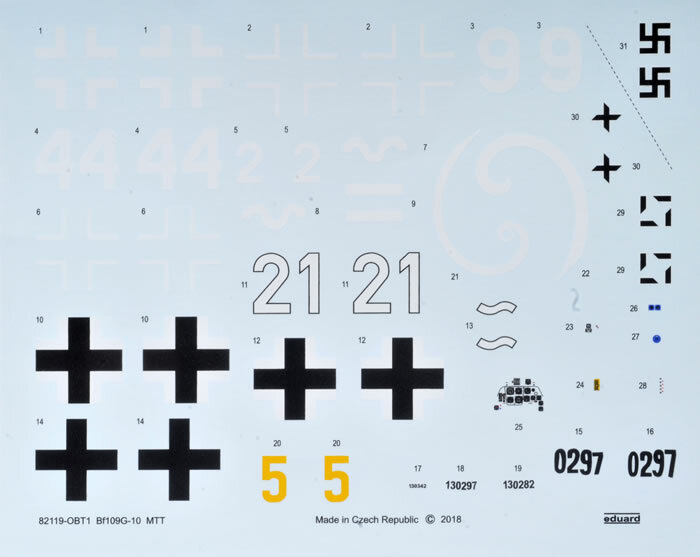 The two decal sheets are perfectly printed in the Czech Republic. 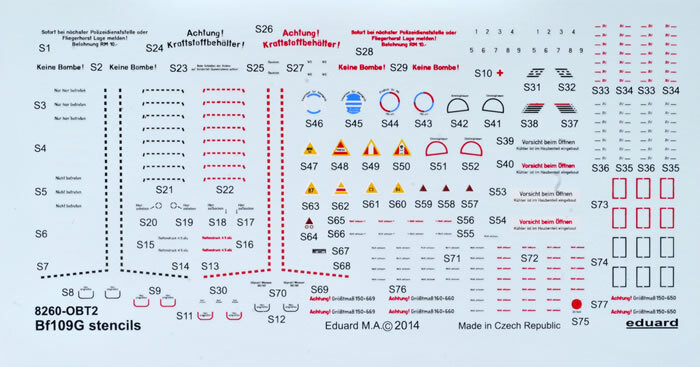 One sheet carries the national markings and unique numbers, chevrons, Gruppe markings, unit insignia and kill markings; while the other has a wide selection of generic stencil markings that will be suitable for mid-war to late-war subjects. Eduard's 1/48 scale Messerchmitt Bf 109 G-10 is a very welcome addition to their re-tooled Gustav family. With the other 1/48 scale options being the Revell kit from the 1970s, the 20-year-old Hasegawa kit and the frankly weird looking Fujimi Gustav, Eduard's Bf 109 G-10 shoots straight to the top of the list!